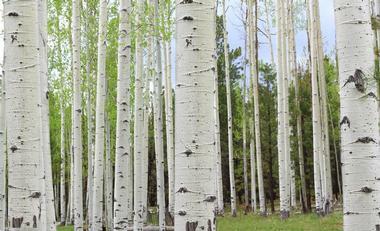 Aspen, Colorado, is a year-round playground for skiers, hikers and lovers of the outdoors. 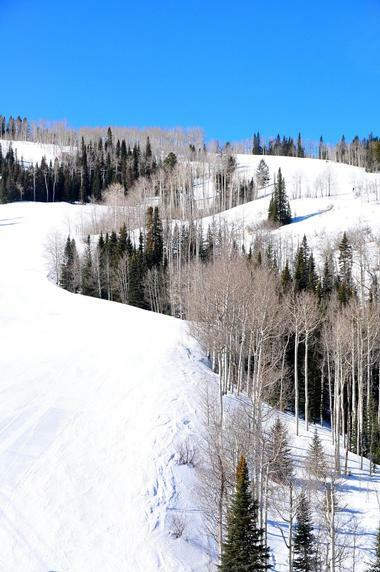 Whether you are planning a trip in the winter or in the summer, there are many fun things to do in Aspen. Admire scenic mountain views from the Silver Queen Gondola, watch a performance at the Hurst Theatre, go on a brewery tour, visit the Aspen Center for Environmental Studies, play golf, and see an exhibition at the Aspen Art Museum. There are many excellent tours to choose from that let you get to know the area with the help of experienced guides. Aspen restaurants offer a variety of flavors to sample on your Colorado vacation. It is difficult to say whether it is better to come to Aspen Mountain (also called Ajax) in the summer or wait for the winter snow. Skiers flock to Ajax year after year for the mountain’s famous slopes, steeps, and glades that challenge even the most experienced skiers – let’s not forget that these slopes are challenging enough for World Cup contestants. During the summers, you can hit one of the dozens of trails, join the yoga group on the mountaintop, take a naturalist tour to learn about the wildlife and plants, or you can enjoy the view from a gondola. After an action-packed day on the mountains, relax at the Ajax Tavern or sit on the Sundeck and appreciate the breathtaking views of Elk Mountain. The Maroon Bells, two peaks of Elk Mountain, are the most photographed mountains in the world and with their majestic image reflected across the still waters of Maroon Lake, it’s no wonder. The rising sun colors them golden, creating an unbelievably beautiful vista. You can get the best view from Maroon Lake, which you can reach by taking a public bus that leaves from Aspen Highlands. Traffic by car is limited. During the winter, you can also get to the peaks by cross-country skis or by a snowmobile. T-Lazy 7 Ranch organizes fun and informative tours. 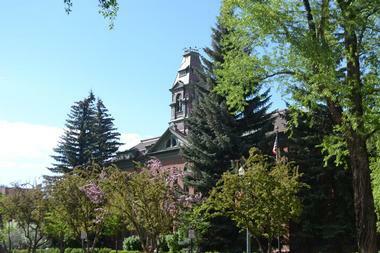 If you are wondering what to do in Aspen this summer, this is a beautiful place to visit. 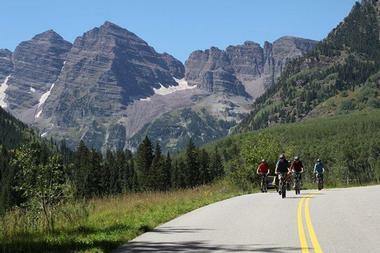 A trip to Maroon Bells can turn into an incredible adventure for those who like high adrenaline thrills. The lake is only 12 miles from Aspen, and taking a trip there is something all visitors to Aspen make a point of doing. Aspen Highlands is not a mountain for the timid. This terrain found in Colorado is rugged and offers a great challenge. If you are looking for steep, big-mountain skiing, you can find it at Olympic Bowl, Highland Bowl, and Steeplechase. 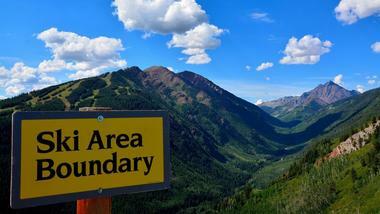 The runs are wide-open, the views are spectacular, and there is something for any skill level. 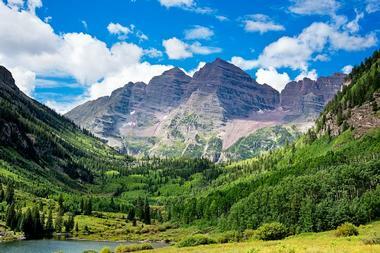 Stop to catch your breath and take in the magnificent view of the Pyramid Peak and Maroon Bells. If you want to take your skiing or snowboarding to the next level, you can take advantage of the excellent Ski & Snowboard School, where you will not only get instructions from experienced pros, but will get tips on navigating terrain, weather, and the general area. 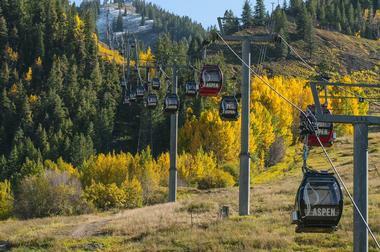 Buttermilk Mountain is best known for serving as the location of the Winter X Games for the last 13 years. Naturally, the terrain park challenges are legendary. Buttermilk also has easier, beginner runs for families and children, which include easy, long blue and green runs that go all the way from the top to the bottom. Experienced instructors from the Ski & Snowboard School can help you make the most of your trip, allowing you to truly enjoy Buttermilk’s terrain park. Those in the know say that all of Buttermilk is one terrain park after another, so you’ll never get bored. 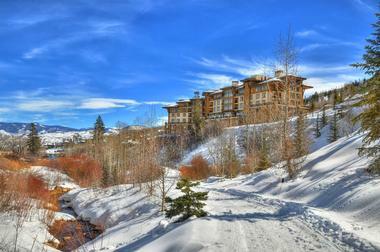 Enjoy the after-ski time at the Cliffhouse with some delicious spring rolls and Mongolian barbecue. If you brought the kids, take them to the Hideout, the new kids’ center. Snowmass is enormous; it has 3,362 acres of skiable terrain, including superb expert terrains in Hanging Valley, Burnt Mountain Glades, and the Cirque. Don’t worry if you’re not an expert – there are terrains for skiers of all abilities. You’re guaranteed to have a good time at Snowmass Park & Superpipe, and both you and the kids will love the Treehouse Kids Adventure Center, which provides ski lessons as well as childcare. With its endless scenic bike and hiking trails and diverting gondola rides, Snowmass has just as many engaging activities in the summer. Foodies will love the location’s nine restaurants, especially the Lynn Britt Cabin and the famous Elk Camp Restaurant. 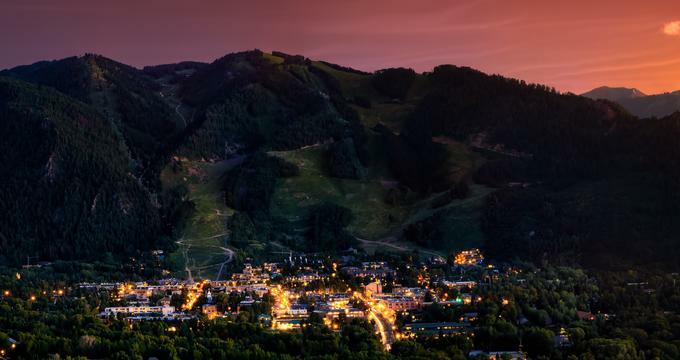 There are many things you can do in Aspen during the summer, but seeing the mountains with their high snow-covered peaks, the lively town, the majestic slopes, and tall trees as the birds see them is a stunning experience. The Silver Queen Gondola provides you with a comfortable, 14-minute ride from bustling Aspen to the 11,000-foot tall peaceful summit of Ajax Mountain. If you are looking for fun things to do in Aspen, Colorado with kids, this is a great attraction. Once you’re there, take in the vista from the Sundeck, join the yoga crowd for some free exercises, play golf at the highest golf course in the country, or hit one of many bike or hiking trails. If you come on Sunday, you can oftentimes enjoy live bluegrass music concerts. Kids will love the climbing wall and the Eurobungy trampoline. The Silver Queen Gondola operates daily in the summer from June to September, and on weekends in May and October. From the day it opened its doors in 1889, the Wheeler Opera House followed the same path as the city; it witnessed everything from enormous riches to bankruptcies, from booms to busts. However, while so much of the pioneer silver and gold mining world perished, the Wheeler Opera House continued to rise from the ashes like a phoenix, showing that culture is resilient and a vital component of Aspen. The theatre features Moroccan leather seats, a blue ceiling embedded with silver stars, and a rather impressive proscenium stage. It introduced the community to traveling Shakespeare troops, vaudeville, minstrel shows, concerts, burlesques, lectures, and the occasional boxing match. Times have changed, but not too terribly much. The Opera House still serves as the community’s first and foremost performance venue for concerts, festivals, movies, Oprah Winfrey, The Eagles, school theatre productions, lectures, and much more. When Duncan Clauss came home to Aspen after finishing his studies, he wanted to combine his two passions: outdoor lifestyle and good craft beer. 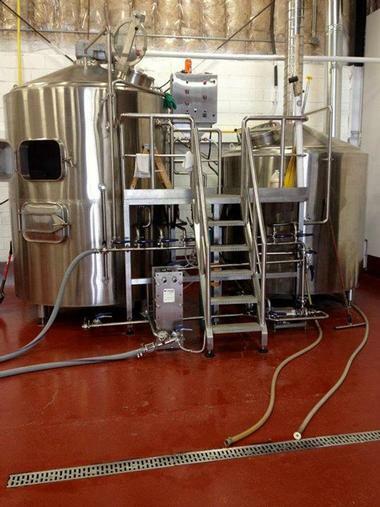 Ever since the closing of Flying Dog Brewing Co., Aspen has been lacking in craft breweries. Fortunately, Aspen Brewing Company filled that gap in 2008. Their Silver Queen, Seasonally Inspired, and Barrel-Aged Temerity are now available all over Aspen and across the country. Many people have the fortune of stumbling upon the John Denver Sanctuary while hiking the Rio Grande Trail. Located on the banks of Roaring Fork River, this lovely, serene park is one of several memorials to John Denver, who lived in Aspen for a while. He absolutely loved the area, which provided inspiration for many of the songs he wrote. 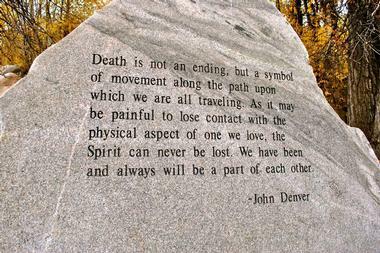 One of the park’s most stunning features is the grouping of giant boulders engraved with Denver’s lyrics. The park also has the largest collection of perennials in the area, as well as the water-filtering wetlands system. 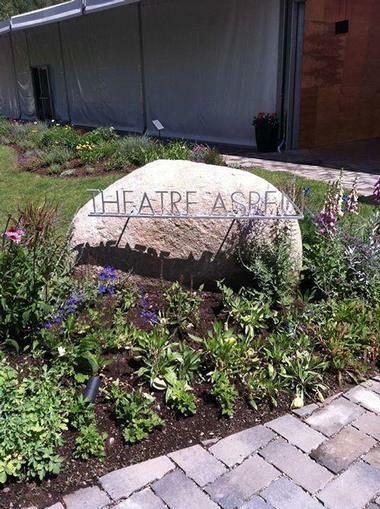 The park comes alive during the summer when Theater Aspen provides a stage for compelling live performances. The park has many benches where you can relax, watch the passing river and bees moving from flower to flower, or contemplate the lyrics of John Denver. 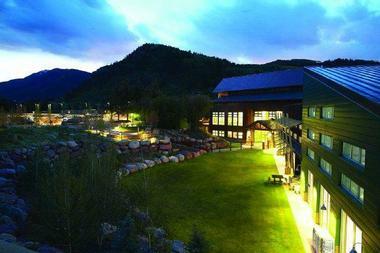 Perhaps you will discover what he meant by Rocky Mountain High during your trip to Aspen. Located in the stunning former Hunter Creek Power Plant built in 1888, the Aspen Art Museum plays an interesting role in the community. It provides space for the latest, most important developments in worldwide contemporary art. The Museum does not collect art, it merely creates a link between modern artists and the community, challenging viewers’ conceptions and provoking deeper thought. Numerous free exhibitions every year focus on unrecognized and underappreciated artists and artistic output, while public programs and community activities invite local audiences to view modern art with open eyes and minds. Dean Weiler, a cultural anthropologist, historian, researcher, and storyteller par excellence, offers to take locals and tourists around Aspen and tell them stories about the town few have had the pleasure of hearing. He is a colorful character himself, and his role of a bard and narrator suits him well, but the information he shares about Aspen during his tours are true facts he dug out of dusty books and journals he found in various libraries. His classic tour Past-to-Present is an hour and half long walk through Aspen and its most interesting spots. You will discover the materials that make up the giant sculpture of a horse in Rio Grande Plaza, the best place to get the cheapest beer, and the cost of renting certain desirable places in town. The Darkside tour takes guests through some lesser-known spots where many nefarious events occurred throughout the town’s colorful past. If you come to Aspen during Halloween, Dean will dare you to come on his cemetery tour, which of course takes place at night. The Aspen Historical Society has a great way of fulfilling its mission of preserving and presenting local history: through fun, entertaining and very informative tours. 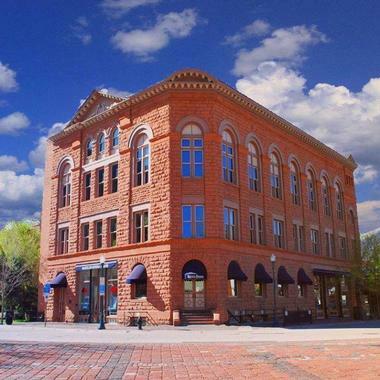 The tours last from one hour, like the tour of Aspen’s iconic and elegant Hotel Jerome, to half a day like Holden/Marolt Mining and Ranching Museum tour. Some tours are outdoors, and are only available during the summer, like the Red Butte Cemetery Tour, while others are indoors and run year around like Wheeler / Stallard Museum. One of their most popular tours is the Historic Pub Tour. 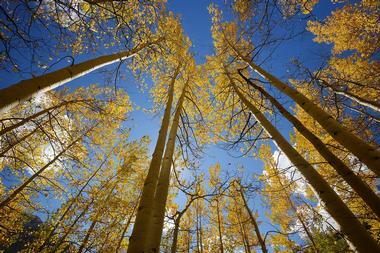 Rio Grande Trail is the easiest and the most popular hiking and biking trail in Aspen. If you have kids, feel free to bring them along, because they are sure to love it. The trail starts on Puppy Smith Road just behind the Post Office. The 8.4-mile long trail takes you along the Roaring Fork River and follows the Denver and Rio Grande Railroad bed. On the section from Aspen to Woody Creek, you will cross two bridges. The first bridge crosses the Roaring Fork River, and the second fast-flowing Hunter Creek. The trail keeps going for several miles along the north side of the Roaring Fork River. The first part of the trail, which is paved, has numerous descriptive signs. West of Cemetery Lane, the trail becomes dirt and takes you through very scenic small canyons along the river. Grottos Trail is an excellent trail for the whole family – you can even bring your dog on a leash. There is almost no incline, making the trip very easy, and you can plan a great picnic and explore several exciting features. The trail starts about nine miles from Aspen along Highway 82. Pass Weller Campground until you see the sign for the trailhead on the right. After crossing the bridge, turn right on the Old Stage Road, and after about 30 yards, you will see the picnic site by the river. If you turn left after the bridge, you will find yourself on the main trail, and you can follow the Roaring Fork River for about 200 yards upstream until you reach the picnic area. Let the kids explore the grottos formed throughout the millennia by the rushing waters of Roaring Fork River. There are also some interesting rock formations, a lovely waterfall, and many shorter trails perfect for exploring. Elizabeth Paepcke founded the Aspen Center for Environmental Studies (ACES) in 1968 with the goal of providing a bridge between the Aspen’s urbanized environment and surrounding nature, as well as creating a wildlife sanctuary in Aspen. The Center operates in four locations: Hallam Lake, The Catto Center, Rock Bottom Ranch, and Spring Creek. Today, the Center is a non-profit environmental science organization. ACES Naturalist guides offer free hikes every day to explore spots like Snowmass Mountains, Snowmass Ice Age dig, and Maroon Bells. 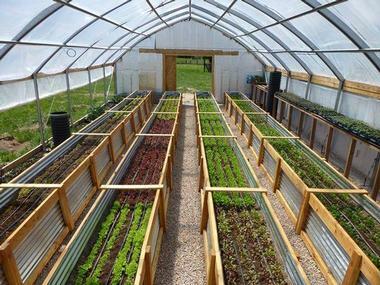 The Center offers numerous courses and programs in basic ecology and environmental sciences for adults and school children. Only in Aspen do you get to the theatre by passing the hiking trail, flowerbeds, and ponds of Art Park to enter a large tent under the stars. This tent is called the Hurst. The gorgeous, natural setting makes productions of classics such as Cabaret even more mesmerizing. Theatre Aspen is Aspen’s only professional theatre, and it attracts thousands of visitors with its exciting summer programs, many year-around productions, and educational programs. You can see some of the great talents of Broadway as well as superb local performers in plays, musicals, and other shows. Theatre Aspen also launched Aspen Theatre Festival, two weeks of theatrical activity promoting new works by lesser-known playwrights and musical groups. If you did not get enough exercise on the ski slopes during the day, come to the Aspen Recreation Center for more fun and games. The Center, or ARC as the locals call it, has it all, from a swimming pool and ice skating arena to rock climbing walls and weight rooms. You can use their superior modern fitness center with the latest state-of-the art machines or you can join a yoga or karate class. For those who want something beyond physical exercise, they can take advantage of also guitar classes and art classes. The Aspen Golf and Tennis Club offers a particularly special challenge to avid golfers: an 18-hole, champion, PGA award-winning course high up in the Rocky Mountains just a few minutes from urban, sophisticated Aspen. If you want to improve your game, check with the club’s PGA staff to arrange private instructions or attend golf school. The club does not neglect avid tennis players, either; it has six clay courts and two hard courts, which are open from June to September. They have clinics and lessons for adult and children regardless of current ability. Both golfers and tennis players can enjoy the renowned Red Mountain Grill for meals and celebratory drinks on the patio overlooking the golf course. 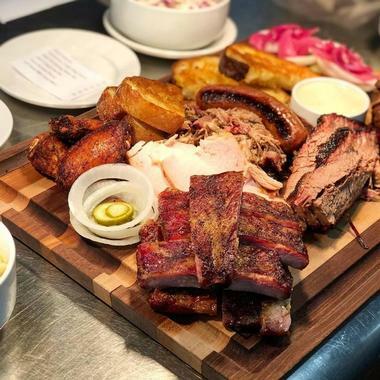 Home Team Barbecue is the kind of relaxed, popular tavern that every neighborhood should have, the no-fuss place where families can come for a plate of smoked meat and homemade Southern sides. The original Home Team spot is located in a converted 1900s former gas station and even today, when they have a whole bunch of taverns all over Charleston and even one in Aspen, it still serves crowds of hungry folks who come for their famous slow-cooked meats and traditional Southern sides. To go with the meats, they serve a full range of drinks, with excellent frozen cocktails, an expansive collection of American whiskies, and a large range of craft beers. There is live music almost every night. No wonder the joint is always packed. Aspen, with its many outdoor activities, is a haven for adrenaline junkies, but paragliding must be at the absolute top of anyone’s list of things to do. Imagine soaring above high peaks, valleys, and slopes in tranquil silence! Paragliding utilizes the simplest form of a flying machine, an inflated non-powered wing that allows you to launch from hillsides and mountain slopes straight into the mountain air. You are not exactly jumping off a cliff, but the forward momentum you get from pushing off the slope lifts you up and allows you to glide through the air. Aspen Paragliding uses tandem paragliders in which the pilot and passenger are attached to each other but seated in separate harnesses. Take advantage of the highly competent and certified pilots of Aspen Paragliding and spend about one hour in the air after receiving basic instructions, of course. With good thermal conditions, your pilot may use the air currents to maneuver the glider all the way up to 18,000 feet. The Aspen Paragliding School also offers professional tandem instruction, paragliding certification, mountain and thermal soaring clinics. 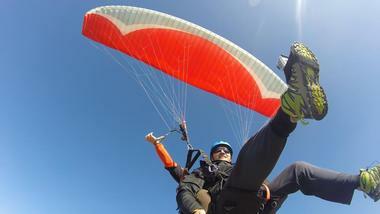 They also sell and repair paragliders. James and Lange of Elk Mountain Expeditions invite you to find out about the great white water rafting and fishing opportunities available around Aspen. 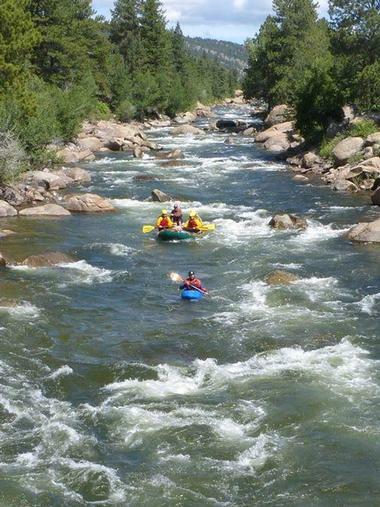 They have adventures for beginners on the Upper Roaring Fork River that will take you over rapids such Snowmass Hole and Toothache. If you’re up for it, they will take you to Slaughterhouse Falls; you have to be quite fit to stay upright, and you better know how to swim and get yourself out of the water if the boat tips over. For avid fishermen, Elk Mountain Expedition has Conor with his new dory to show you some of the secret fishing holes on the Roaring Fork River. James and Lange will make sure that you have lots of fun on your visit and that you will have stories to tell and photos to show when you get back home. There is a lot to do in Aspen, whether you come in the winter or in the summer, and you can do many activities on your own. However, sometimes it is much more fun to let someone as experienced as Blazing Adventures Aspen take over organizing and arranging all the logistics, allowing you to take a step back and simply enjoy yourself. They have been providing their services for more than 40 years, so you can be sure that, whether you are coming alone or bringing the kiddies, you will have fun and will leave with precious memories. They can take you white water rafting, hiking on the best trails through the mountains, biking to Maroon Bells, or simply take you on a stroll through the meadows for bird-watching and nature appreciation. You can choose to go with one of their jeeps on the Elk Camp Wilderness Tour, white water rafting to the Arkansas River over Independence Pass, or biking or snowshoeing to Maroon Bells and Maroon Lake. Blazing Adventures and their highly experienced guides will make sure that you are safe, have fun, and get the chance to take some magnificent photos. 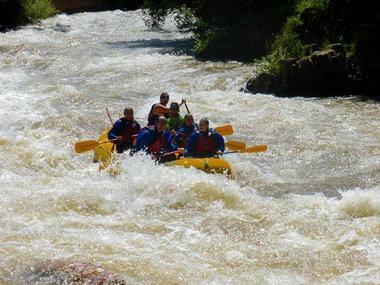 Aspen Whitewater Rafting Company promises you a safe, fun, and very wet experience bouncing and splashing down some of the wildest waters in Colorado. They have been guiding people through the white waters of the Rockies for the last 25 years, so you are in excellent and capable hands. You can come alone or in a small or large group, and they will organize a trip that fits your desires, whether you want a crazy wild ride to the Slaughter House Falls, or just a simple, fun water ride down Roaring Fork River. You can bring the kids, who will never forget the adventure. All the guides are highly experienced, the equipment is safe and up-to-date, and a gourmet lunch is included. Just be sure to bring some dry clothes for the trip back. Between the flower-covered meadows outside of Aspen and the 14,000-foot high mountain peaks, there are numerous hiking trails for any fitness level and any kind of nature interest. 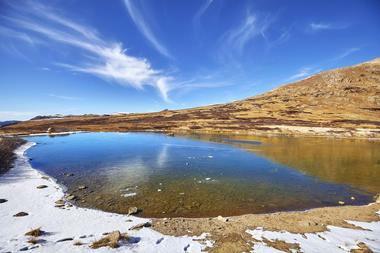 Some, like Crater Lake Trail, are extremely popular because of the magnificent scenery. The Crater Lake Trail starts at Maroon Lake, about 10 miles from Maroon Creek Road. If you are coming from Aspen, take a shuttle to Maroon Lake from Rubey Park. 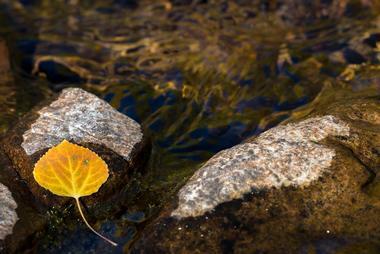 From Maroon Lake, cross the meadow to the Forest Service information board. From there, you can turn right and take the Maroon-Snowmass Trail, which is a fairly steep trail that winds its way through the aspens to Crater Lake. If you turn left, you will find yourself on the scenic Maroon Creek Trail, which meanders along the river. After crossing two picturesque bridges, you will climb until you reach the Maroon-Snowmass Trail. The hike takes on average about one hour and a half, and it is moderately difficult. As you slowly drive through impressive Sawach Mountain along the banks of the Roaring Fork River, take some time to stop and take in the view. Each peak under the clear blue sky is covered with a crown of snow, and both the mountains and the sky serve as the backdrop for the magnificent dark blue lodgepole pines and tall elegant aspens. This road, called Independence Pass, goes between Leadville and Aspen. At times, it reaches to 14,500 feet in altitude, and it is one of the most breathtaking and picturesque drives in the country. You can take advantage of this road until mid-November when it closes until Memorial Day. The silver and gold miners who built the road were not so much interested in the views as they were in the riches the Rocky Mountains were hiding in their depths. Some did manage to strike it rich, and 130 years later, we can now enjoy the fruits of their backbreaking labor. When the snow melts and the weather starts to warm up, Aspen becomes a very different town from the popular ski destination. Since 1949, it has served as a venue for the Aspen Music Festival and School, one of the best and most renowned events in the States, both for its excellent concert programs and the quality of music training it provides for young people. Every summer, a large futuristic tent with a curved roof made of fiberglass and coated with Teflon becomes the stage for over 300 classical music performances. More than 70,000 people come to listen to five orchestras, operas, chamber music, solo performances, and so much more. During the winter, the AMFS offers HD screening of music recitals and Metropolitan Opera Live to keep music lovers from getting restless.